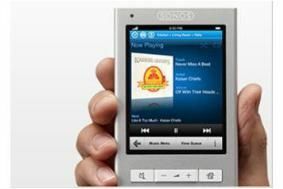 Sonos apologises for performance of Napster on Sonos | What Hi-Fi? In a letter to customers, Andrew Schulert, "Vice President, Quality" at Sonos, says the company was "unprepared for the dramatic increase in usage of Napster on Sonos". The company is promising fundamental changes with long-term fixes that the company will aim to complete by the end of April. In the meantime, all customers should have had their accounts credited with one month of service, while some immediate tweaks have been made in an effort to get Napster on Sonos running smoothly. You can keep up to date with the progress of the fixes on the Sonos Forum here and also contact Sonos with any issue you find using the details here. As keen users of the service ourselves, we'll be sure to keep you up to speed with developments.